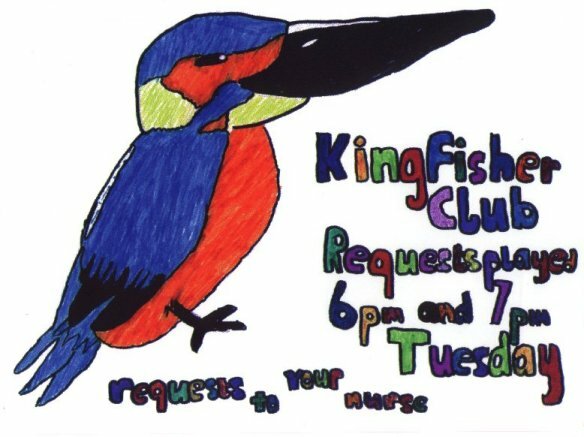 A long time ago we held a competition for children to design a poster for Kingfisher Children's Ward publicising the special programme we present for them each evening at 6pm - "The Kingfisher Club". 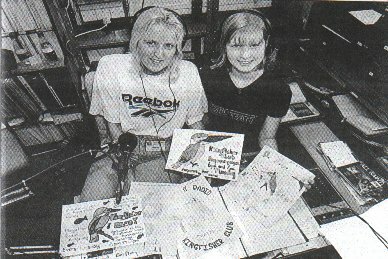 The highly successful competion was run in conjunction with the Dorset Evening Echo's Buzz Club, a weekly column for junior readers. Below is the picture and article which were published in the Echo following the judging of the competition. AMANDA YATES and her daughter, Emma, who present the Kingfisher Club on hospital radio, are seen here at the Ridgeway Radio studio with Echo Buzz Club member's winning poster designs. Hannah Pitcher, 14, of Long Bredy, who receives a £20 record voucher; Bethany Rose, 7, from Portland, who gets a Paddington rug and books; Emma Godden, 9, who also comes from Portland and who receives a beanbag and books; Tom Jeffrey, 12, from Woodsford, and Roxanne Edgington, 12, from Charminster, also both receive books. 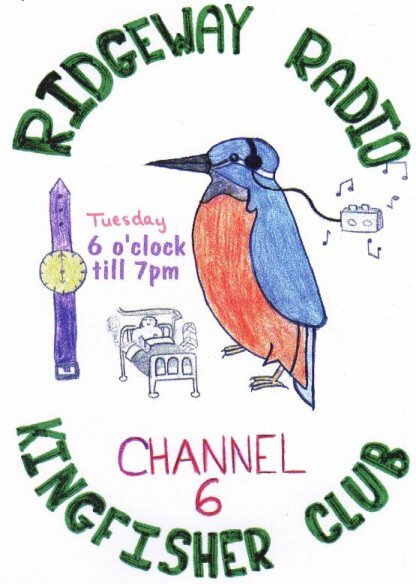 Ridgeway Radio's Andy Worth said: "There were some very good entries. 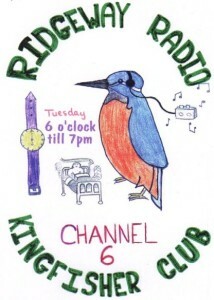 The standard was excellent and the entrants did us proud. 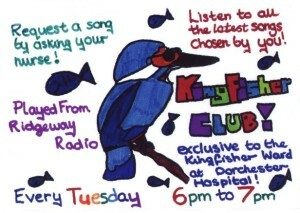 Hannah's poster depicted a kingfisher with earphones on listening to the radio. 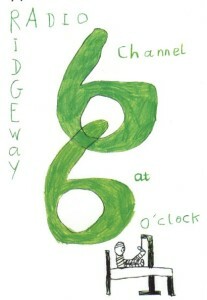 The winning posters wiil be displayed on the ward. 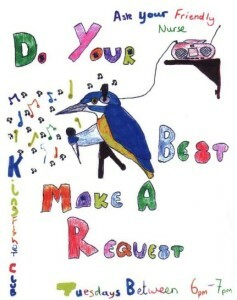 We would like to thank everyone who took part." The record voucher was donated by generous staff at the hospital, while the rug was a gift from Crosby Carpets, and Woods donated the beanbag. The books came from the Echo Buzz Club.